While we are on the topic of hat and ears, could I request to cover the ears on V-chan as well? I have a request for a feature, regarding refining materials: Exchanging higher-tier materials for lower-tier variants. I made a graphic to explain myself. I appreciate your suggestion, but this is probably more work than is warranted by its value to the game. Players are supposed to drill for the ores/gems that they need in the mine. Coding for this function would probably take too much time and it is a function that is not likely to be used by many players. I would advise players to get ores/gems the old fashion way, by drilling for them. 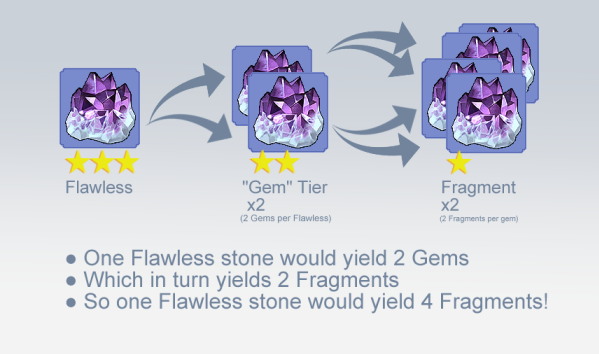 The lower level ores/gems are more easily obtainable compared to the higher level ones, e.g., flawless & pure. Edited by Aran, 22 January 2019 - 02:46 PM. Your suggestion above already exists. You need to finish the Marx quests in the mine of the item you are drilling. He then offers an exchange. If you have his quest in your log it also increases the gem rate of the items he asks for. I just had a look to verify, and it only goes upwards. 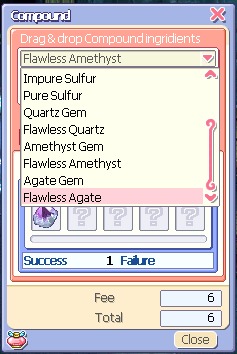 So I have a bunch of gems without an adequate weapon for it. Can the GM re position the blood red eyes when they're looking left? they look like they're falling off her face. i would like to request an exchange for craftman's anvils for god and legendary anvil also the fox boxes, thanks for the patch it was nice ! No for the exchange of anvils (we have too many items to fix in this upcoming maintenance + no to exchange functions in general). I hope wings of (power, magic, sence, charm) series lv 280 to be available through my shop or egg shop. Feb item list up to here. I will not pick up suggestions for Feb after this, but you still can post your suggestions. I will look at them for March. I would like to ask if it would have like on the AH page we have to search only for status Ex: MA, AP etc. 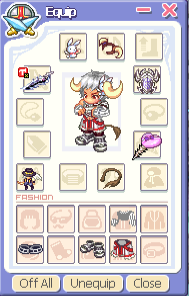 so would only come equipments with these statuses. another remark could be left when an eq fuse also appears his name in the search. sometimes we want a skin but it is fuse with another iten and we can not find it just because the name of the EQ appears. Can I suggest these as pets? Very good your request. I already asked Hovado to do the AKA ED but he said he had others to handle. Let's see if it does any time. I was wondering if it is possible to have another popuri drilling hunting event or even a dice role event or some hunting drilling for keys maybee,well anyways i would like to sugguest any for march ty in fortune . YASSS! Drilling events and hunting events please!!! Re pet request: I think this Ed is the boss on Floor 48. Jiri has made the ED pet that is on Floor 76 or whatever floor that is, the boss that is currently roaming the stadium.